Planning to start Uber for trucking business or already have Uber for trucks business, which you want to grow? 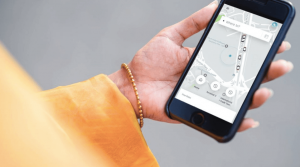 Scroll down to keep reading this post as you’ll uncover a few pivotal features of Uber for truck app. 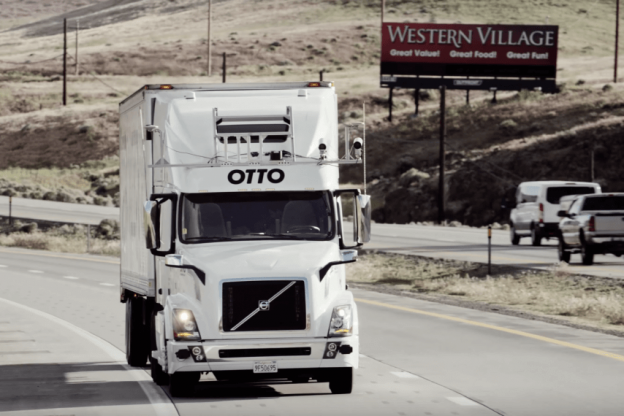 The advancement of uberization in logistics industry reflects a new era of logistics. Well, the main idea behind the Uberization is to provide on-demand services as soon as possible. At this time, Uber is not merely a company, but it has become a part of sharing economy. The Uber for logistics plays an important role in order to shake up the transportation industry. 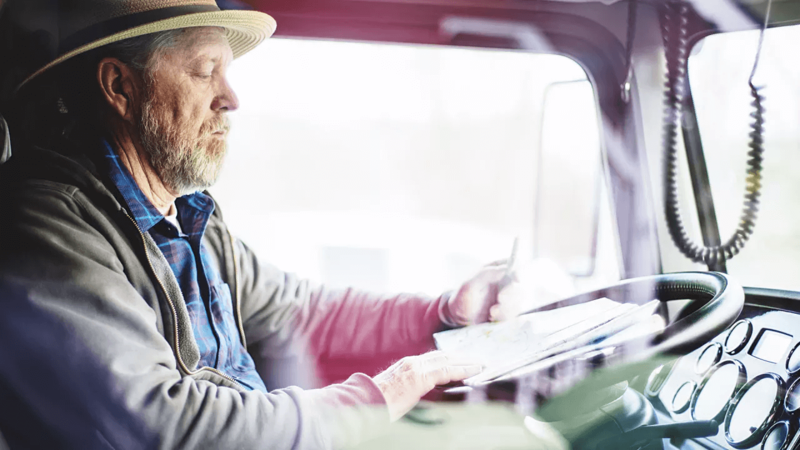 According to the report from American Trucking Associations, “The U.S. freight transportation experiences continued growth in trucking.” Furthermore, trucks move 84% of total freight in the United States, and 16% of all other spendings i.e. shipping and flying.” Moving ahead, let’s talk about the challenges of the Logistics Market. Check out a few challenges faced by the logistics market. Customer Service: Customers need full transparency. The expectations of customers have been increased. Customers are willing to pay extra for shipping in less than two days. Fuel Costs: One of the main concerns is the fuel prices in the logistics market. For the U.S. shippers, higher fuel prices are likely to increase the costs of transportation. Shortage & Retention of Drivers: One of the major issues is to hire and retain drivers in the logistics industry. Transportation Costs: Cutting down the transportation cost is also one of the major issues in the logistics market. Well, these are a few challenges, which have been facing by the industry for so long. 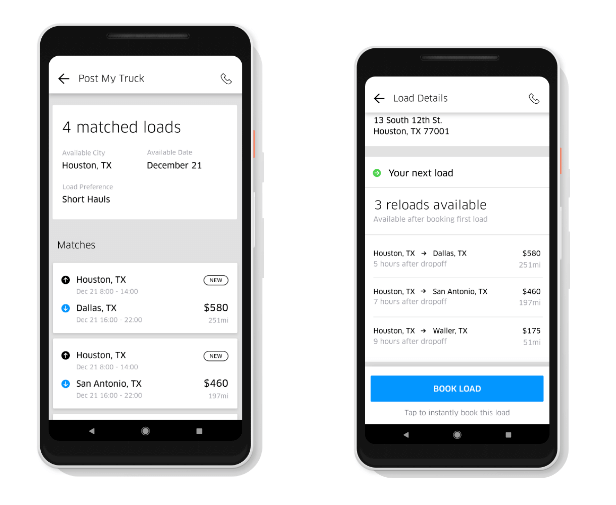 Well, an app like Uber for trucks connects shippers with carriers and provides a number of solutions to the logistics business. However, an app like Uber for trucking divides into three parts – shipper, driver, and carrier. A person or company, who is generally the owner of commodities. A person or company, which transports goods, which is responsible for any possible loss of the goods during transport. If you have ever thought of developing an app like ‘Uber for trucking’ or ‘Uber for trucks’, then keep reading this post to uncover a few essential app features of Uber for truck application. 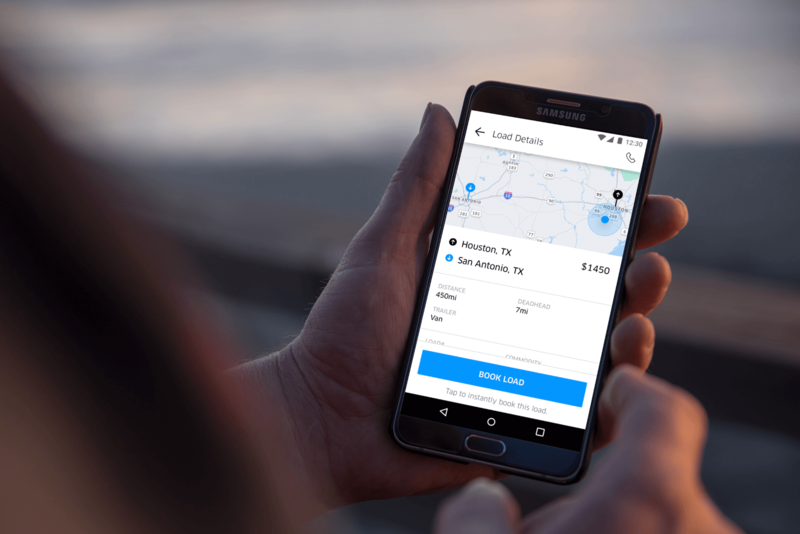 If you have prepared to dive into the logistics industry with an app like Uber for trucks, then we’re going to explain the feature, which you can’t miss. The carrier usually plans the route of the delivery. And, it makes easier for the driver to complete the route and his drop. 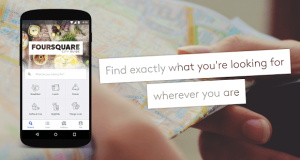 The in-app navigation and maps feature allows users to feed in the predefined routes. Moreover, it also helps app users (drivers) with navigation. All we can say it is one of the core features, which you can consider during Uber for trucks app development. 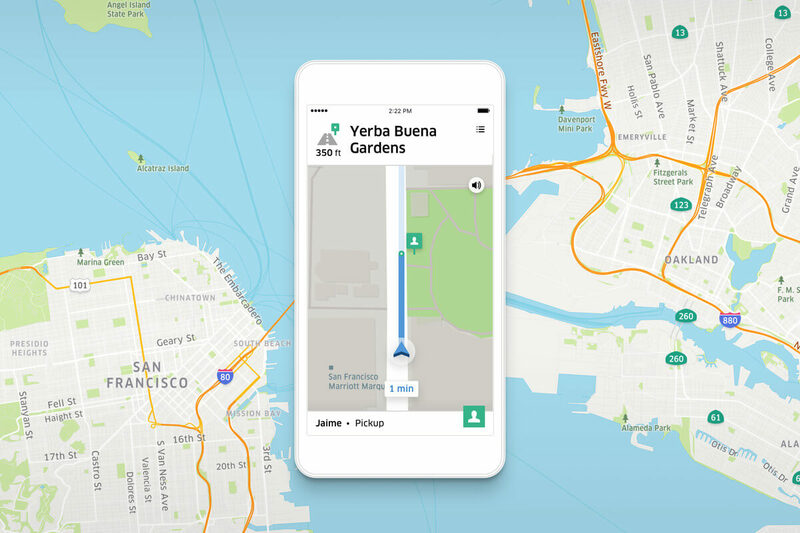 With this feature, carriers can track the route optimization, plus they can track the drivers to the destinations. The drivers will also get the live updates of traffic of the route. In a nutshell, by considering such feature, it will be easier to check the fleet status, track the drivers & other details, productivity and the overall performance and movement of the drivers. 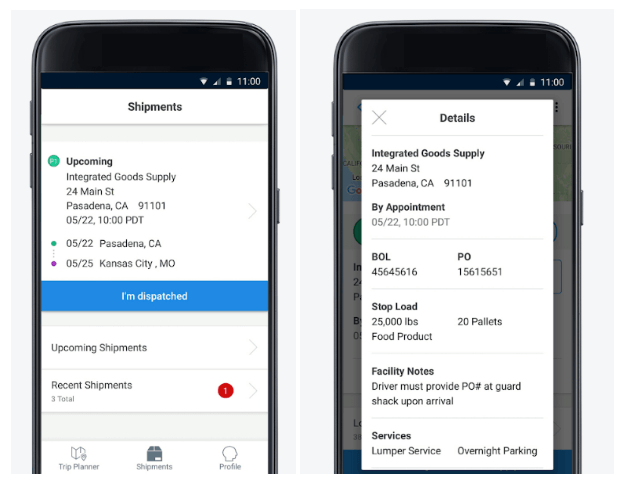 One of the essential features is to allow app users (shippers) schedule the pickups of their shipment as well as drop-offs. They can plan their shipments as per their convenience. Not only this, but shippers can also browse through the pricing and select as per their convenience. Also, they will be able to send their shipments to the scheduled location. Being a trucking startup, if you are all set to develop an app like Uber for trucks on-demand, it is highly recommended to consider such feature during Uber for trucks app development. Shedding light on one of the significant features, which you need to consider is – payment gateway integration. Such feature reflects convenience and it is important to give a thought to this feature. With the advancement of technology, Uber-like platforms are widely known for its convenience. This feature is essential to integrate if you are going to develop an app like Uber for trucks or on-demand solutions. Well, with this feature, your app users such as shippers, carriers, and drivers can pay and receive payments without a hitch. This feature does not merely provide convenience, but it provides a secure way of making payments through an app. Thus, if you have made up your mind to create Uber for trucks app, make sure to provide a secure and highly reliable payment module in the app. Trip History: Allows shippers, carriers, and drivers to maintain a record of the trips. 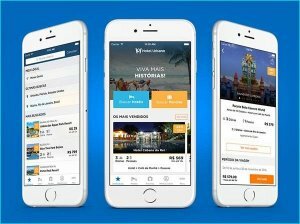 With the trip history feature, they would get to know the total hours of completing the route, plus the number of halts and the reasons. Trip history also tells about the ratings and feedbacks of the driver, plus driver’s earning. Fare Estimation: Enables users to calculate the approx.costs of delivering the goods, which users are planning to deliver. 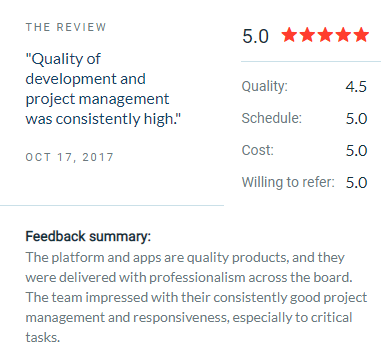 Here’s our client’s review, which is based on our performance. Are You Ready to Dive Right in The Logistics Industry With an App Idea? After reading this post, if you are ready to dive right in the logistics industry with an app idea based on Uber for trucks or Uber for trucking, then all we can say that Uber-like platforms will remain alive. Also, it has already shaken the logistics sector. If you are looking for a mobile app developer to build an app like Uber for trucks or want to cross-verify a new app idea, then you can contact us. As we’re a leading mobile app development company and have already developed over 54 Uber-like apps, plus we do also provide fleet management solutions to companies such as corporate fleet, shipping & marine, flight & aviation, and transportation and logistics. In case, if you still have any query regarding the Uber-like mobile app development cost estimate India, how long does it take to make an app like Uber for trucking or mobile application documentation sample, development of a mobile application, then you can get in touch with us through our contact us form. One of our sales representatives will revert to you as soon as possible. The consultation is completely free of cost. This page was last edited on April 2nd, 2019, at 9:31.